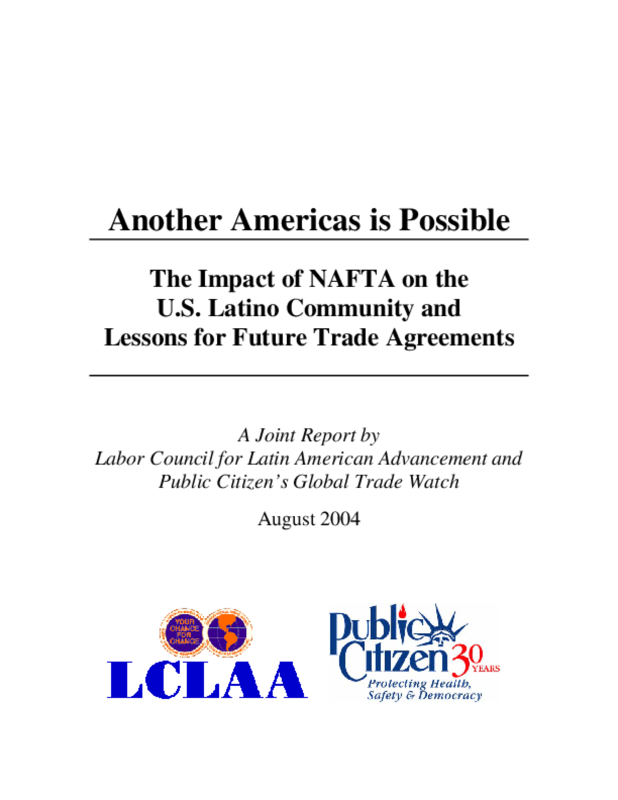 Copyright 2004 by Labor Council for Latin American Advancement (LCLAA), Public Citizen. All rights reserved. No part of this document may be reproduced or utilized in any form or by any means, electronic or mechanical, including photography, recording, or by information exchange and retrieval systems, without written permission from the authors.